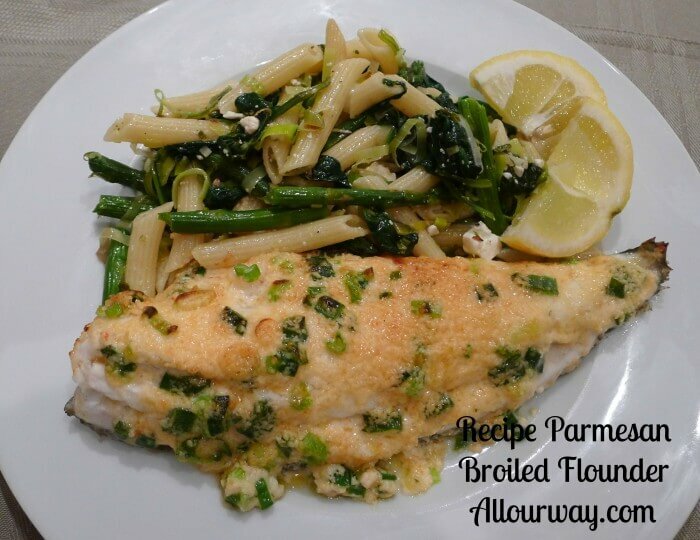 Parmesan Broiled Flounder, when you see the title you probably think, don’t they eat anything but seafood? Well, when you can have fresh fish right from the sea, you take advantage of it. We are reposting this recipe because it is so easy yet delicious. We do eat beef, pork, and poultry but when we’re in Florida with the Gulf practically at our back door, we like to see how many different recipes we can create. 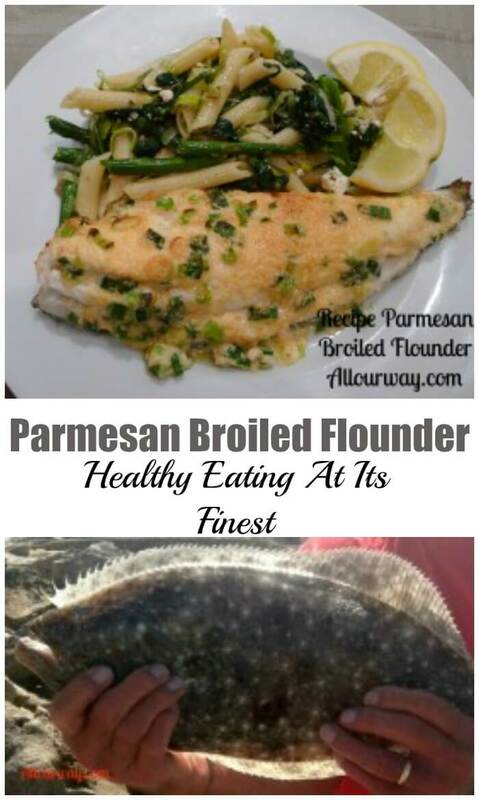 Flounder is a great source of protein and easy to obtain. This recipe is one using the nineteen-inch flounder my Honey caught and filleted. You get four fillets from a flounder, two from the top and two smaller from the bottom. Flounder are strange looking. They have two eyes on their top side, but they aren’t born that way. No. As the flounder ages, the eyes come to be on top so as they lay on the sea’s floor, they can see with both eyes looking up. Their “belly” or underside is perfectly white. No. As the flounder ages, the eyes come to be on top so as they lay on the sea’s floor, they can see with both eyes looking up. Their “belly” or underside is perfectly white. Flounder doesn’t have scales, and you can leave the skin on for grilling and cooking purposes. Once we cooked our Parmesan Broiled Flounder, we couldn’t tell the skin was left on. This recipe is quick and easy to prepare. We broiled the fish until it’s almost done. Then we topped the seafood with the cheesy mixture and popped it under the broiler until it melted over the fish. With our parmesan broiled flounder I made Pasta Verde.I’ll post the pasta recipe next. Delicious broiled flounder recipe. the fish is first brushed with lemon juice then topped with a coat of parmesan, butter, mayo, and green onion. Place fillets in a single layer on aluminum foil lined shallow pan that's been sprayed with a vegetable spray. Brush the fillets with the lemon juice. Remove fillets from oven and spread with the Parmesan topping. Broil and additional 45 seconds to one minute or until cheese is lightly browned and bubbly. Be careful so that it doesn't burn. Garnish with lemon and parsley, if desired. Overcooking can produce a fillet that is mushy -- be sure to watch. This is a delicate and mild fish. This is such a smart idea. I love the flavors and the veggies and ohhh yum! Thank you, Michelle! We like to include quite a bit of seafood in our diet. Have a great weekend. This looks so delicious. 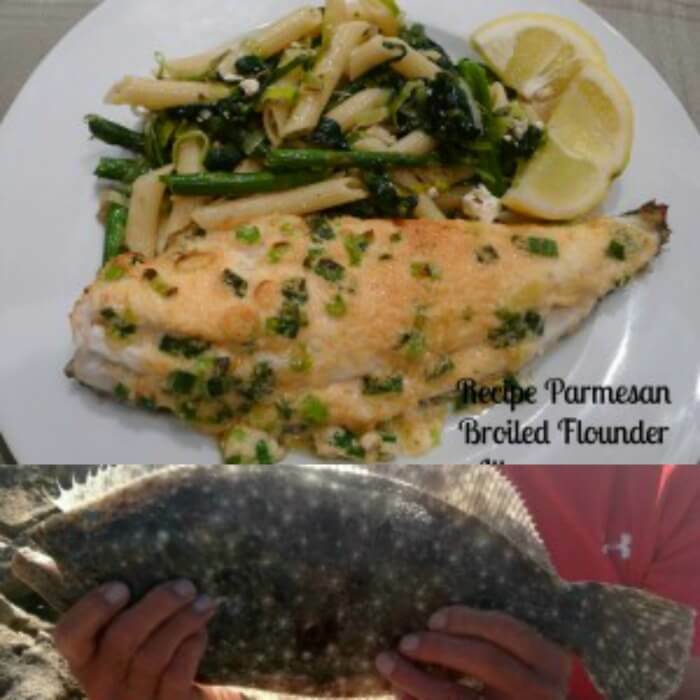 I haven’t had flounder in years and I will have to tell my son to bring me home a fresh caught flounder the next time he goes fishing so I can make this. This looks wonderful! I remember my parents used to always order flounder when we went out to eat. I don’t know how easy it would be to get in Pittsburgh. Do you have another recommendation of white fish? I don’t know how much fresh fish I have access to other than tilapia, maybe cod??? Regardless I can’t wait to try this! That’s an interesting fact about the flounder’s eyes!! I I love fish for a quick meal and I plan to add more fish to my diet. This looks so good. Good morning, Marisa,…..We’re jealous you have a good fisherman to provide fresh fish meals….You can’t disbute the real McCoy. Talk about a picture perfect meal….Flounder looks delish! You are so lucky to get fresh seafood! It’s not so readily available in Pittsburgh so I don’t cook it much but I do really like it and this looks just wonderful to me. Do you think you can make this recipe with another white fish? I love making fish on busy days. It really is always a quick meal for me. 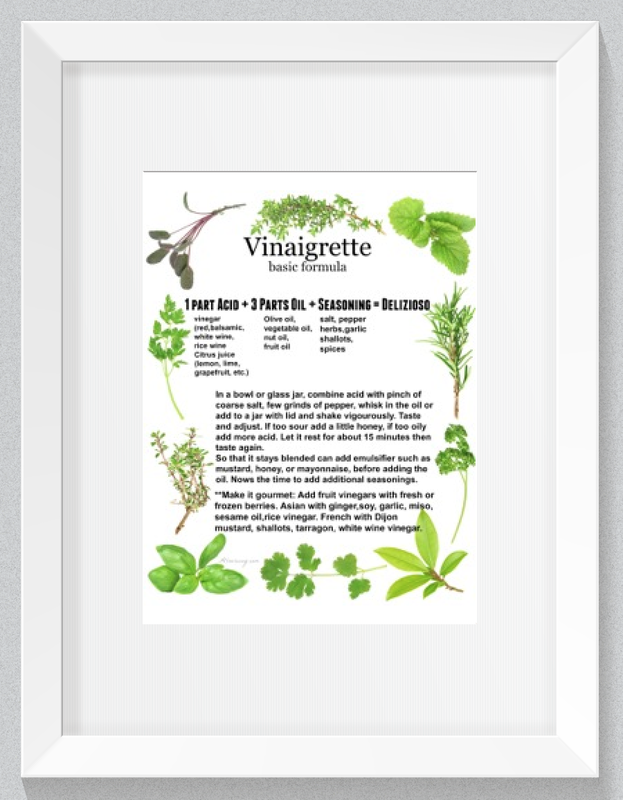 I love the sound of butter on those herbs look so refreshing Marisa. This is comfort food for me!! Love simple recipes like this! Where the fish is the star. You really don’t need lots of fancy things. 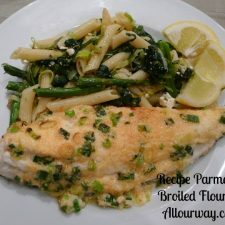 Love the use of lemon and parmesan, they work so well together in fish dishes. Looks so delicious! Hi, Jolina! Thank you! It is amazing how a few ingredients can make fish even more of a star!! Fish is always a great meal. Works for busy weeknights, or an easy weekend meal. Add some spicy fries and this is better than any fish and chip takeout for sure. We certainly love our fish! We eat it at least twice a week. It balances well during the holidays when we have a tendency to eat heartier dishes. One of my favorite-flounder. I like how you have seasoned it. Photo looks like a delicious meal. Thank you, Jovina! When the fishing is good we certainly enjoy it. Ciao, Chiara! Grazie mille per l’articolo. Non sapevo delle giorante della sogliola. Trovo interessante che noi peschiomo per loro nell’oceano qui. Gli pescatori pescano per la sogliola nell’Adriatico? Tanti anni fa mio cugino ha detto che non travava la pesca vicino Trieste. Che deliziosi piatti in Istria! Buona Domenica e un abbraccio forte!